Lighting Design: Lam Partners Inc. 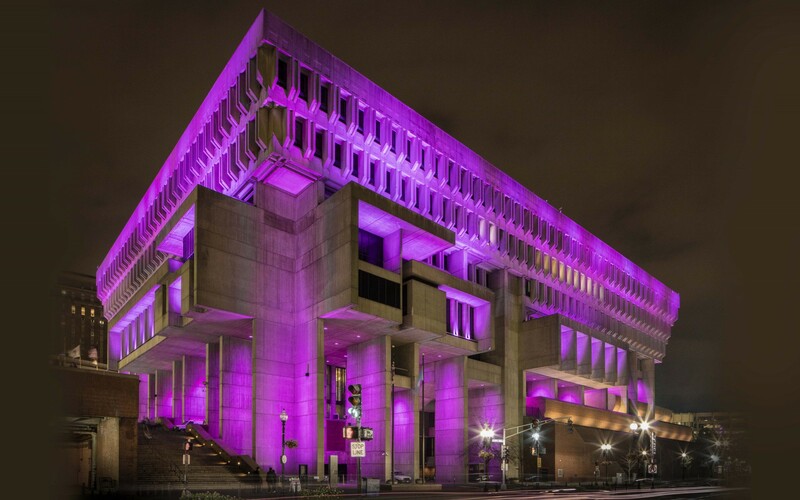 Lighting designers Lam Partners used Lumenbeam and Lumenfacade luminaires to illuminate Boston City Hall, giving new life to the plaza and surrounding urban landscape. Very early on, Lumentalk’s advantages stood out because we could use the existing wiring as a digital addressable network of communication to achieve full color control capabilities. 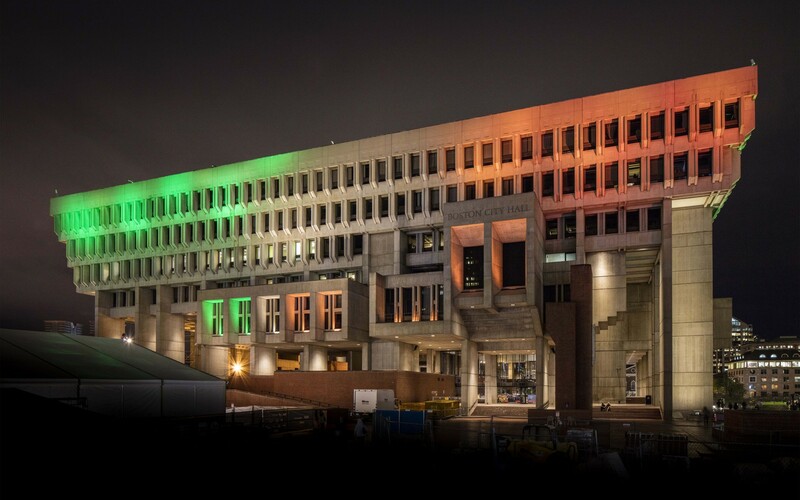 As an initiative of the Boston Mayor's office, the City Hall's new lighting system set out to highlight and revitalize the building's original ‘Civic' style. 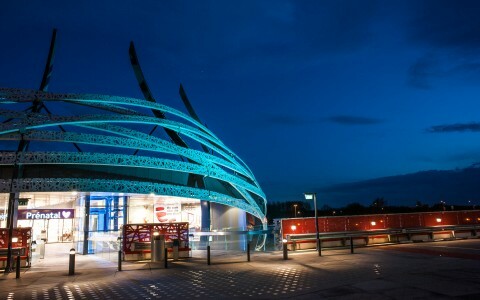 Cambridge-based lighting designers Lam Partners developed a comprehensive and dynamic lighting design. 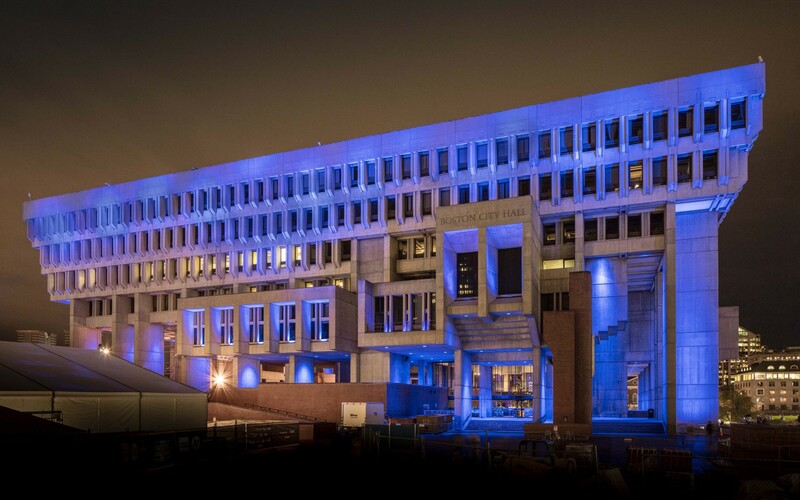 "Our goal was to illuminate the entirety of the building while highlighting the original tripartite design," said Justin T. Brown, Associate Principal of Lam Partners. 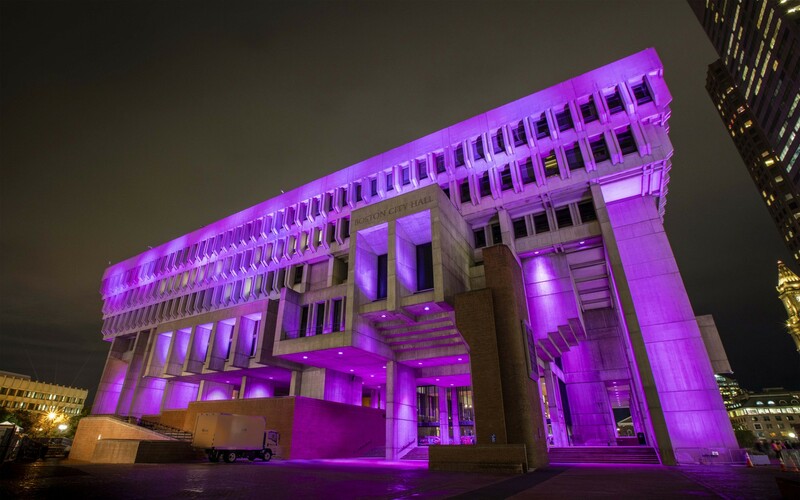 "Ultimately, the client wished to enliven City Hall Plaza and create an inviting space for locals and visitors alike." 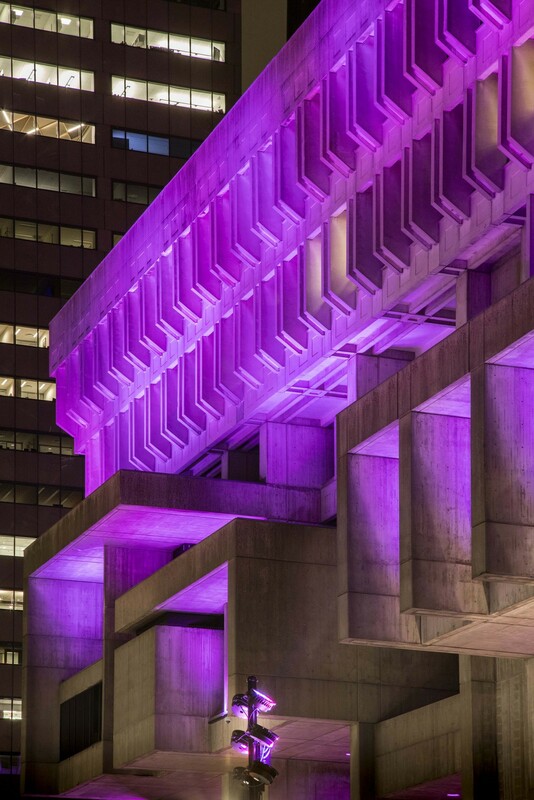 A landmark of Boston architecture, the historic building's new exterior lighting system had to be carefully coordinated to minimize the impact of lighting equipment on the façade. 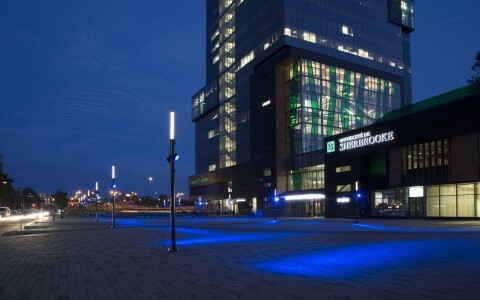 Lam Partners used durable, high-output Lumenbeam Grande RGBW mounted to nearby light poles and Lumenfacade RGBW luminaires on top of various roofs to fill in between. 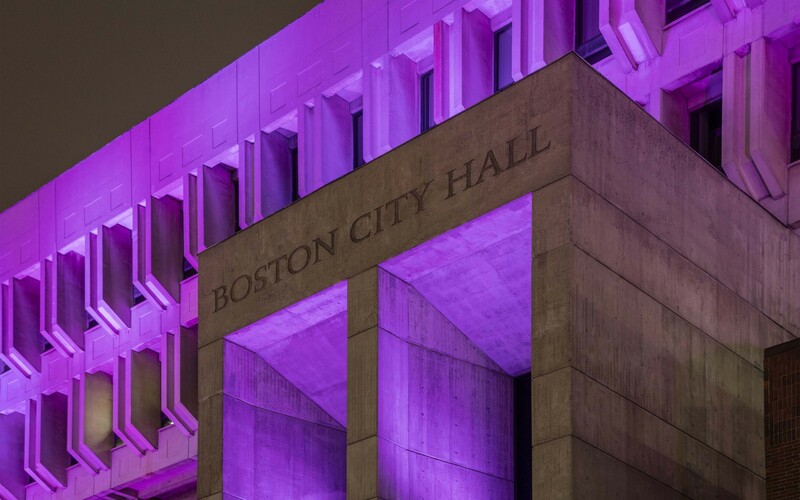 The lighting scheme predominantly washes the hall's façades in a warm white light, with the option of color transformation for civic and celebratory events. Lumenbeam Grande Pendant fixtures also replaced the original recessed downlighting, all of which had long ago failed and could not be easily replaced. 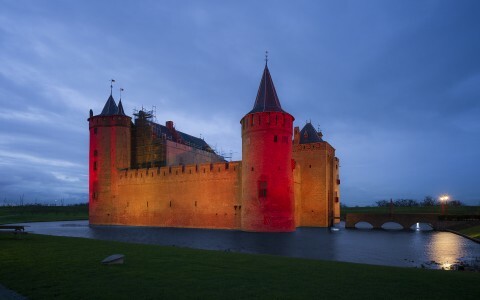 This illuminated the lower levels highlighting the building's entrances. The impressively thick concrete walls did not allow for easy installation of extra data wiring. For Lam Partners, the clear answer was Lumentalk. 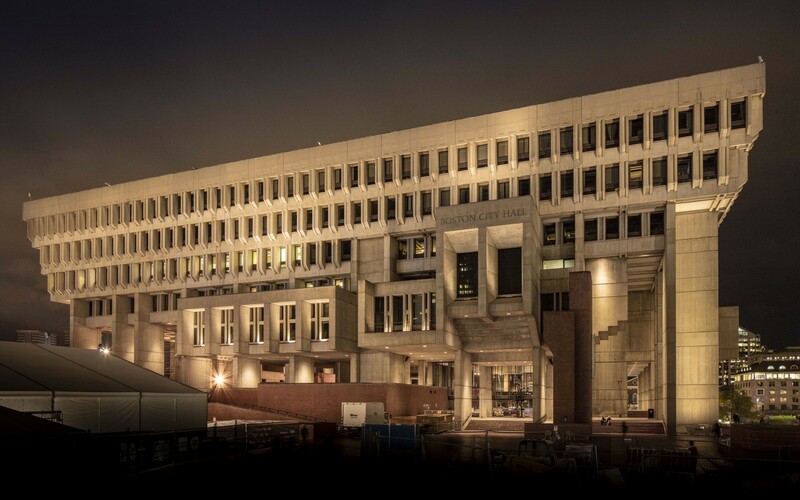 "It was unrealistic to run new conduit along the sides of the building," said Brown. 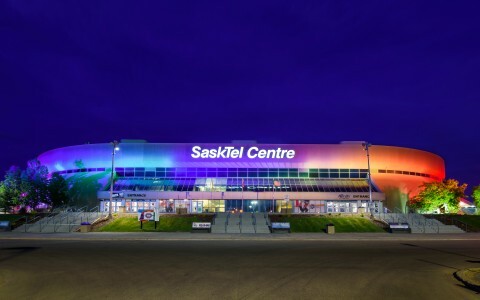 "Very early on, Lumentalk's advantages stood out because we could use the existing AC wiring as a digital addressable network of communication to achieve full color control capabilities." 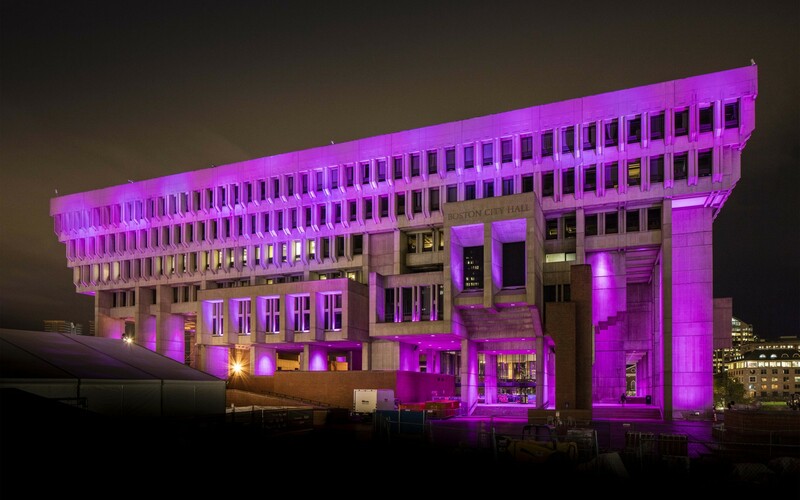 The new lighting was unveiled to Bostonians during the year's last edition of Light Bright Beer Garden. "It's brought new life to the building and energized the whole urban landscape," said Brown.